GS1 announced a significant revision in the GTIN Management Standard Rules with respect to GTIN reassignment. In the past, different industry segments had stated periods of time in which GTINs could be reassigned after a product’s last production date. For example, apparel/clothing required 30 months before a GTIN could be reused and time period was 48 months for general products. 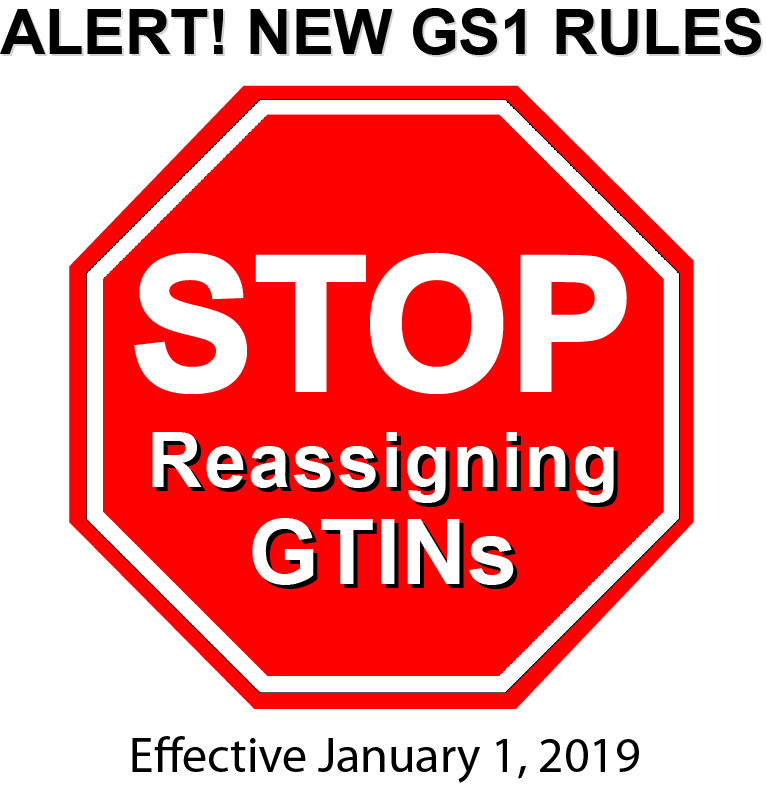 As of December 31,2018, the GS1 General Specification will be updated to completely ELIMINATE GTIN reuse in all industry sectors.Essentially, once a manufacturer assigns an individual UPC (GTIN) to a product, it can never be reused. 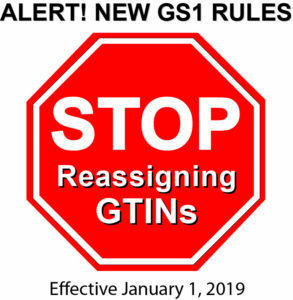 For companies with GS1 Prefixes which allow only 10 or 100 GTINs (UPC assignments), this change will impact those who make mistakes when assigning GTINs to their products. Work with a certified expert to review your GTIN assignments before publishing. Included in the GS1 Barcode Service/Support is 1 year of direct access to your personal consultant who will review your GTIN assignments. The new requirements do allow a few exceptions for UPC assignments which were never formally published and those assignments which were deactivated. The GS1 General Specifications are revised annually and the change involving GTIN assignment rules is just one of the areas which will be impacted. As soon as the new document is available, we will communicate and post relevant links. The Data Hub will be updated on January 1, 2019 to address the new changes. GS1 Barcode Service clients should reach out to their consultant for any assistance with this matter.